Pamela Mills (1956-2004) grew up in Port Elizabeth, South Africa. After majoring in English and Drama at the University of Cape Town, she got her first professional job as stage manager and actress at South Africa’s first non-racial theater, The Space Theatre, which was co-founded by Athol Fugard. Her first play, A Matter of Time or The Wondrous Adventures of Starklith and Maccoboy Mole, was produced by the Market Theatre in Johannesburg. In 1988 she moved to Boston to teach ESL through drama. Scene of Shipwreck, her next play, received readings at the Playwrights’ Platform and the Women’s Project, and was produced by the Raven Theatre in Chicago. Ms. Mills has had several monologues published by Heinemann, Smith & Kraus, and Meriwether, and has been a finalist for the Jane Chambers Playwriting Award. In 1999 Anna Deavere Smith used Ms. Mills’ “bucket boy” story in Common Infractions, Gross Injustices, which was performed at the American Repertory Theater as part of Ms. Smith’s Institute on the Arts and Civic Dialogue. 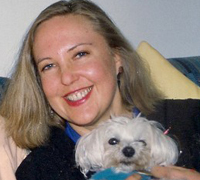 Later, Pam completed her MFA in Directing at Boston University, where she directed Night Sky, People are Living There, The Lady from the Sea, and Sinan Ünel’s new play, Single Lives, at the Boston Playwrights Theatre, and Caryl Churchill’s Mad Forest at the Huntington Theatre’s black box. Since receiving her MFA, Ms. Mills began working with the Gypsy Mamas, an experimental theatre company in Boston, who are hoping to produce Ms. Mills’ most recent play, Song of the Tired Traveler. After being diagnosed with terminal cancer, Pam returned to her home in South Africa in August 2004 to die.